Thousands of Estonian fans crossed the Baltic Sea to celebrate their country’s first Finnish success since Tänak’s mentor, Markko Märtin, triumphed in 2003. 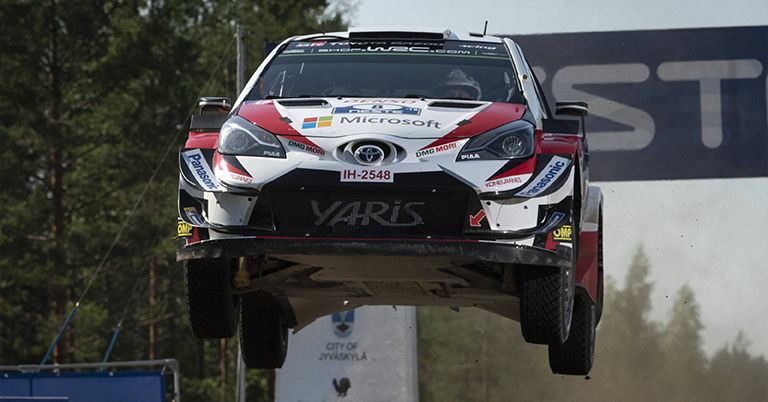 Tänak led for virtually the entire four-day gravel road encounter on the doorstep of his Toyota Gazoo Racing team. He steered his Yaris World Rally Car across the podium in Jyväskylä with a 32.7sec advantage after almost 320km of furious action. After coming out on top of a fierce first leg fight with Mads Østberg, Tanak pulled clear on Saturday and eased through the final day. He kept some pace in reserve to win the rally-closing Power Stage and claim maximum bonus points. “It was a perfect weekend. The first day was tough but after that we increased our gap. 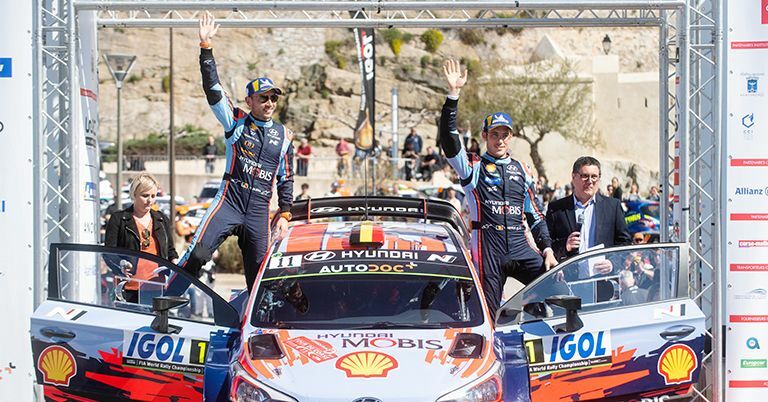 The preparation was perfect, everything was as it needed to be,” said Tänak, whose victory rekindled his slim title hopes after a disappointing weekend for frontrunners Thierry Neuville and Sébastien Ogier. “I will try to win every rally and let’s see where we are at the end of the year,” added the 30-year-old, who closed the gap on leader Neuville to 46 points with five rounds remaining. Østberg fended off a final day charge from Jari-Matti Latvala to deny Toyota a 1-2 finish. They started the final Ruuhimäki speed test separated by only 2.5sec but the Norwegian held on to secure his best result for more than three years in an upgraded Citroën C3. Haydon Paddon grew in confidence as set-up changes improved the handling of his Hyundai i20 and the Kiwi finished fourth, a minute behind Latvala. Ogier was fifth after struggling with a new aerodynamic package and shock absorbers on his Ford Fiesta. He headed M-Sport Ford team-mates Teemu Suninen and Elfyn Evans in sixth and seventh. Suninen was ordered to check in late at a time control, incurring a 20sec penalty which dropped him behind Ogier and gave the Frenchman an extra two points in his title bid. Craig Breen finished eighth in a C3 with Neuville ninth. The Belgian never came to terms with the low-grip Finnish roads from a position high in the start order, and an early mistake added to the Belgian’s woes. His lead over Ogier was trimmed to 21 points. Hyundai team-mate Andreas Mikkelsen was 10th, climbing back onto the leaderboard following a first leg crash when 2017 rally winner Esapekka Lappi rolled out of fourth in Sunday’s opening test. The championship returns to asphalt at next month’s ADAC Rallye Deutschland (16 – 19 August).